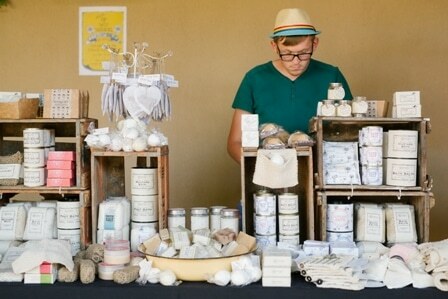 Make a festive diary note for your next country getaway, because you won’t want to miss the new and improved Favourite Things Market at Gabriëlskloof. The all-round, fun-is-the-new-black, crowd-pleaser is back this year and preparing to be bigger, better and bolder on 14-16 December 2018. 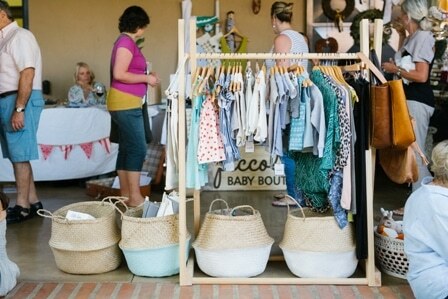 This is the event to shop for festive season gifts and have a good time doing it too. From baked treats to beautiful jewellery; home-knits to rare finds – it’s all here, in one glorious location. Gabriëlskloof’s hilltop spot outside Bot River – a mere 80-minute drive from Cape Town – offers sweeping views of the Babylonstoren Mountains and surrounding wheat fields. Its stylish visitor centre is a landmark destination that offers tastings of wine, chocolates and its olive oil, and is home to an attractive country-style restaurant where slow-cooked, shared meals are served with authentic platteland passion and a generous hand. Now imagine the gardens decked out in bright colours and a merry vibe inviting you in and you’ve got the spirit of the Favourite Things Market. This is the place for families – and friendly dogs are welcome too! You just must make a weekend of it. For more information about the estate, visit www.gabrielskloof.co.za. Also follow them on Facebook and Instagram. Sunday, 16 December from 10am to 3pm. Gabriëlskloof can be contacted on 028 284 9865 or info@gabrielskloof.co.za. 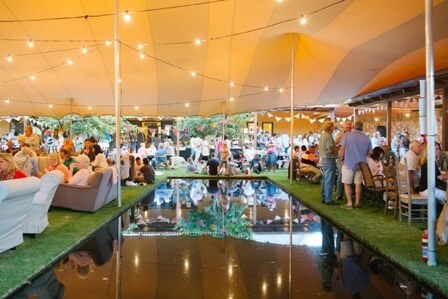 Our annual guide to the many wonderful Christmas gift markets held in and around Cape Town each year. 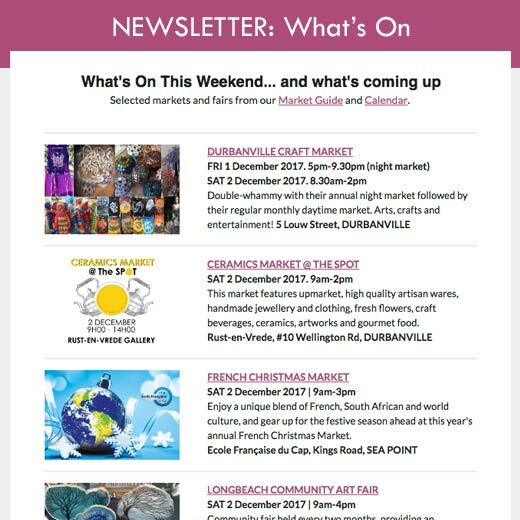 Gabrielskoof Market is well worth visiting, if you missed it this year, diarise it for next year! Live music, beautiful gifts and goodies to buy and delicious and interesting food to buy.. Great wine and stunning atmosphere! I Own a Pancake Business , we make Pancake batter on BIG volumes . I just wanted to know if you could please provide me with the name and number of the person who manages the pancake stand at your fair.